Since it's all over the news, you probably have read about the latest iPhone hardware and software upgrades namely iPhone 3G S and the iPhone OS version 3.0. As an iPhone (3G) owner, I would like to share a few things about the most recent software update and generally my experiences of using this so-called innovative smartphone. I will also talk about my thoughts on jailbreaking and unlocking, as well as the idea of installing Linux on the iPhone. I've been using my iPhone for more than 2 months now and I must say that I'm beginning to enjoy it, and made it my primary mobile gadget. Though at first I'm mostly impressed with its multi-touch screen, clear/huge display, and its sleek and compact design, there's more to like about the iPhone like its intuitive user-interface, its out-of-the-box applications (Safari, iPod, Mail, Calendar), and the tons of third-party programs that you can get via App Store. Sure the iPhone has plenty of exciting features that the Apple fanboys would love to talk about all day, but just like any other electronic devices, it's not perfect. One of the things that I'm disappointed about the iPhone is the battery. The lack of physical access to easily replace the battery is just stupid. I know Apple did this to make the device more solid and to minimize moving parts, but I think a simple design tweak won't hurt. The importance or shall I say the convenience and peace of mind that a user can get from having an easily-replaceable cell phone battery should be considered first and foremost. Another major letdown of the iPhone is its Bluetooth device. When I was thinking of buying an iPhone, I expected it to sync flawlessly with other Apple/Mac devices like my Macbook Pro so I never really bothered to research further before I bought it. To my disappointment, the iPhone can't even pair with my Mac. Hell my old Nokia phones can sync without a hitch with my Macbook. So this is another foolish mistake made by Apple. Let's talk about iPhone's software features. There's no doubt that the mobile version of Mac OS X is amazing and it is integrated really well with the device. The applications work smooth and fast and the user interface is outstanding. I'm already used to typing from its multi-touch screen keys. I also didn't expect that the iPhone gaming experience can be a lot fun. But overall, the best software feature of the iPhone is its support for thousands (and still growing) of 3rd-party apps. 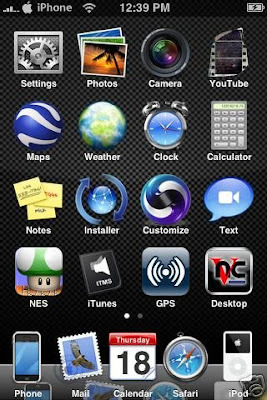 What do I think about iPhone OS 3.0? I've been using version 3.0 for two days now and I still can't fully appreciate some of its most recent features. However, I do find the “cut, copy, & paste”, "search" and "landscape keyboard" as handy improvements. Aside from a slight decrease in speed, there’s a noticeable drop off in battery performance after updating to 3.0. You can read a thread HERE, which should support my claim. I hope Apple will do something about this issue because I'm already thinking of just reverting to the previous software version, and then jailbreak my iPhone to get similar features of 3.0 and probably more. Read this post to know what I mean. For those of you who are also interested in jailbreaking and unlocking the iPhone, I suggest you visit The Dev-Team Blog. I will probably be posting a jailbreaking/unlocking tutorial here soon. But for now, Google is your friend. 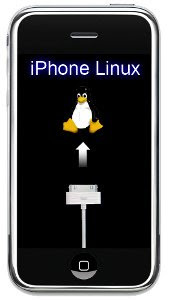 Lastly, I want to talk about the idea of installing Linux on the iPhone. I know the mobile version of Mac OS X is already great but I want other features like the multi-tasking power of Palm Pre's Linux-based webOS. Some people are already working to get Linux on iPhone working so I'm looking forward to their success. Who knows this could be the complex solution to the battery and speed performance problem of my current iPhone since Linux is a resource-efficient beast of an OS. That's about it. I hope this will somehow help you decide whether to buy an iPhone or not. 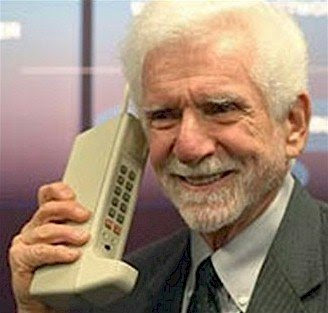 Now go and convince grandpa to change his phone already. Nice article. I am on iPod touch 2G and yet to find any noticable drop in battery life. As for 3.0 parental controls, I am yet to find how to access them. Even in the manual from apple. Any idea about that?